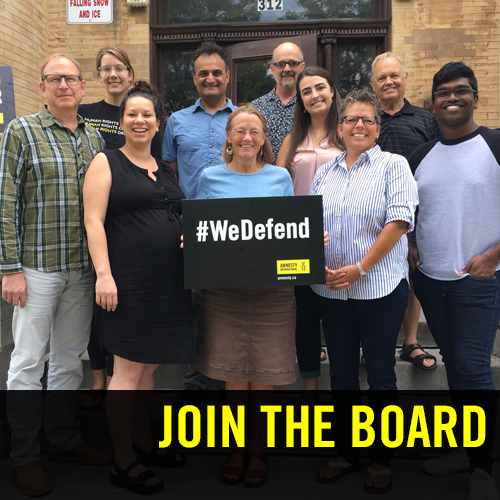 Across Canada, Amnesty members in senior volunteer positions are using their skills and experience to further the cause of human rights. Senior volunteer positions do require a commitment in time, but the rewards of such work are immensely satisfying. The branch provides training and support for senior volunteer positions.